Entrepreneurs extraordinaire, Dedi and Irwan Ho have been enchanting us with their delicious cuisine for over 13 years at Raya Thai Restaurant in Helensburgh. 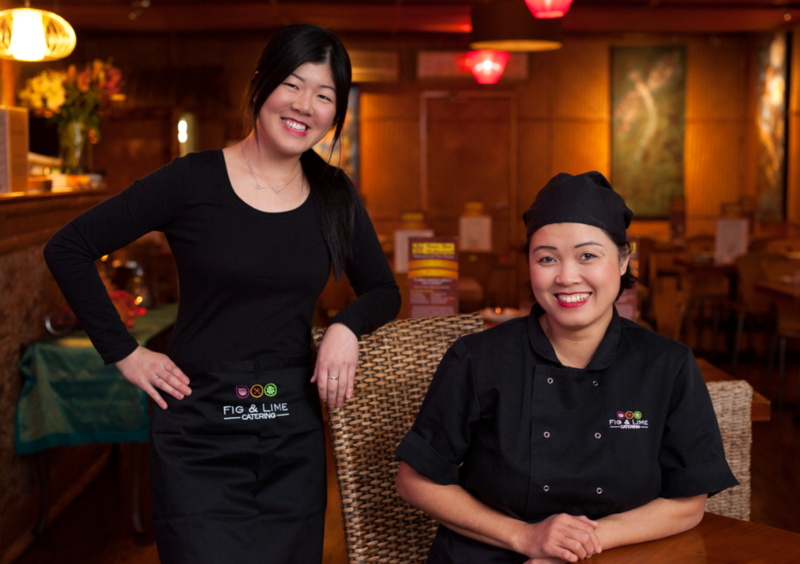 We had the opportunity to speak with their daughter, Chelsea Ho about her family and Helensburgh, Raya Thai and their new venture. The family owned and operated business, Raya Thai has bought a greater diversity of culture to Helensburgh. The Thai and Indonesian cuisine is enjoyed by the Helensburgh community and visitors alike. With the family’s love of food and community, we are excited to welcome their next business endeavour, Fig & Lime Catering, an extension of Raya Thai Restaurant. Chelsea had been dreaming of a catering business where their Eastern cuisine intertwined with the west. With such a tasty name for a business, Chelsea explains, “The name Fig & Lime originated from an idea of fruits. Fig represents the western cuisine of the world and Lime of Asian cuisine” Fig & Lime Catering is currently Asian cuisine, though it will soon expand with western cuisine too. The mother and daughter duo have similar and diverse skills and passions which compliment their new business. Chelsea says, “Fig & Lime Catering is truly a representation of myself and my mum”. Chelsea’s mother, Irwan Ho is a qualified chef with over 25 years of experience. She has a magnitude of culinary experience. Irwan’s language is food. Irwan is able to create and speak through her dishes of flavour, texture and taste. Like a painter creates a canvas of visuals for enjoyment through colour, Irwan is able to satisfy the taste buds and create enjoyment through her delicious and creative dishes. 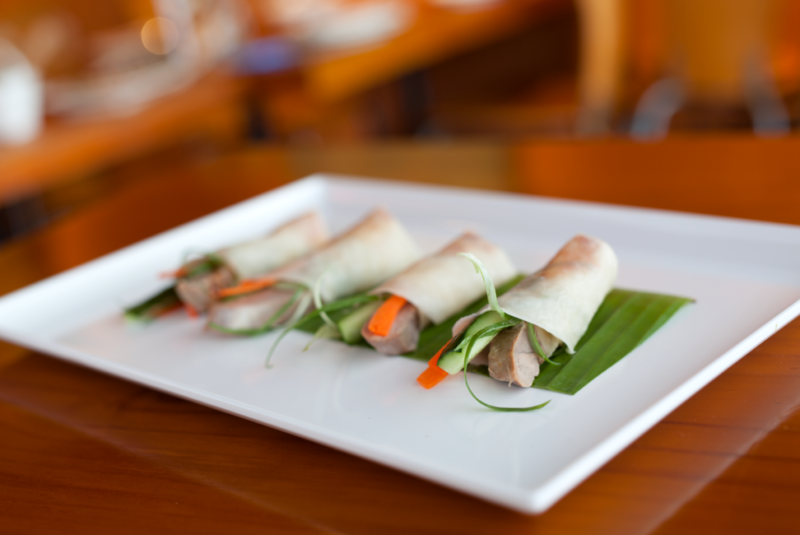 Truly remarkable mouth-watering “Peking Duck Roll” – roasted duck in an Asian pancake with spring onions, cucumber, pickled carrots and Hoi Sin sauce. “Thai Sliders” – marinated beef tenderloin, carrots, lettuce, mint, creamy mayonnaise, slider bun. The entire menu sounds so delicious. Chelsea has grown up surrounded by delicious food with her family’s restaurant in Helensburgh. She enjoys cooking and also creating new dishes too. Chelsea other passion is marketing and she is currently completing her final semester of a media degree at UNSW. She has begun promoting Fig & Lime Catering. Fig & Lime Catering is available for all events: birthdays, weddings, anniversaries and business functions. Fig & Lime Catering strives for attention to premium detail to ensure your event is absolutely unforgettable. All food is presented in a delectable array and with excellent service. There is also a specially designed blackboard feature that creates a personal message. There are 2 packages to choose from, cooked to order or onsite catering. The menu is similar to Raya Thai Restaurant with additional specialised dishes. Follow Fig & Lime Catering on Facebook and Instagram to check out the enticing images of the dishes. Special Fig & Lime Catering Giveaway!! The first 10 people to contact and book their next event with Fig & Lime Catering will win a $50 voucher. Please mention this article at Sea Cliff Coast to redeem this offer – vouchers are valid until the 30 March 2015.